Expectations that have become commonplace in today’s modern, connected world demand a level of connectivity, performance and agility that conventional IT infrastructures were not built to deliver. Matching the expectations of today’s modern, connected world demands a new enterprise architecture for agile interaction with digitally astute customers, partners and employees. 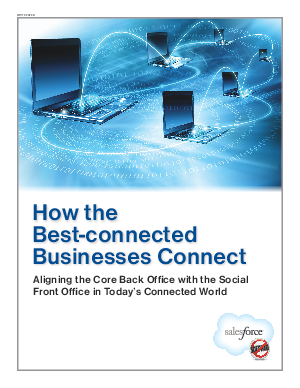 Download this whitepaper to read more on how the best connected businesses connect.